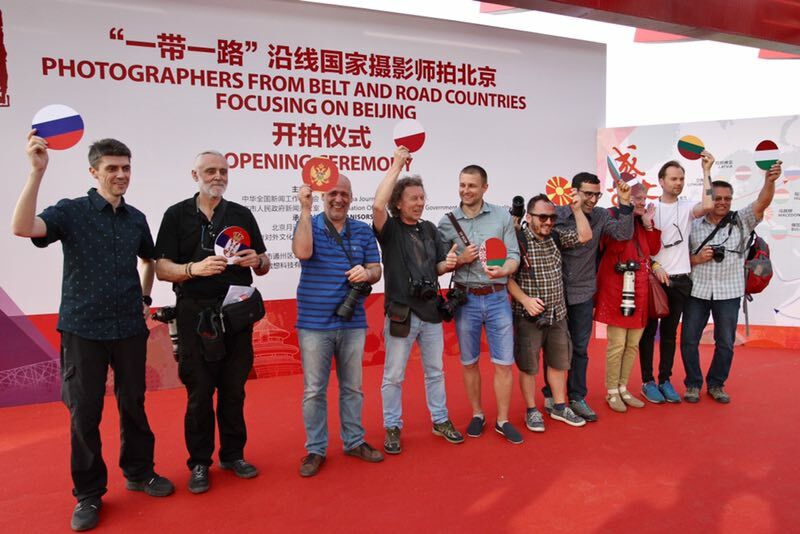 The opening ceremony for an event focused on Beijing and featuring photographers from countries involved in the Belt and Road Initiative was held in Tongzhou district’s Grand Canal Forest Park on Monday. Jointly hosted by the All-China Journalists Association and the Beijing government, the gathering features photographers from Russia, Belarus, Latvia, Lithuania, Poland, Montenegro, Serbia, Hungary, Macedonia and Bulgaria, who will observe and capture moments of Beijing. "Many of us have traveled long distances to be here," said Serbian photographer Petar Kujundzic. "That serves as a reminder of just how important our work is in promoting friendship around the globe."